Custom promotional giveaways can be the perfect way to propel your business to great success. 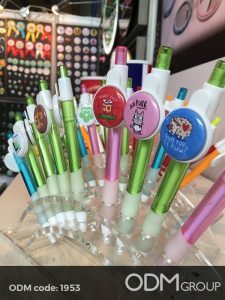 Custom promotional giveaway items can be tailored to your business branding and by giving your client something for free, you create a relationship which retains intrigue from the get go. Everybody likes receiving something for free, a business promotional products or gifts displaying your business logo will get your branding stuck in the clients mind for a long time to come. This is fantastic marketing tool that ensures great longevity. Critical to the process, our Mindsparkz team provides first class design and work in synergy with our team of merchandisers to find low cost sourcing with the best manufacturing solutions available. We take pride in our system of quality checking our business promotional products, as we strive to maintain only the highest standards. Reach ODM Group for a more detailed information about our custom promotional giveaways. This is facilitated by our regular factory visits to keep quality high and our business relations strong. We make sure our customized promotional giveaway items are made from the best materials to retain our self-imposed high business standards. Our teams of fantastically creative graphic and product designers are waiting to craft wonderful new ideas for your next customized project. If you want to see the amazing work we have carried our previously, our blog contains well over 8,000 international case studies. Our history of expertise in amazing marketing products speaks for itself. You can see many of the customized promotional giveaway items we have made for many different kinds of business. If you need custom promotional products, feel free to contact the team at ODM. Our designers will help create unique product designs to strengthen your marketing activity. What kind of promo product is right for you? We have listed some of our favorite custom promotional giveaway case studies below. You can also search for SWAG ideas for your industry, or check some of the mechanics like Gift with Purchase, POS Displays or even Purchase with Purchase promotions. Tatcha, a Japanese beauty skin care company is offering a face massager as part of their gift set collection. 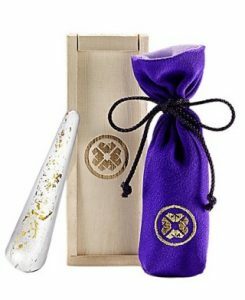 The Akari face massager has a thermal core wrapped with 24k plated gold leaf. If you need help with customizing your promotional giveaways, feel free to contact ODM. 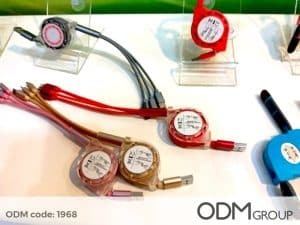 Surprise your employees and customers with these colorful and high-end retractable phone charger cables. What we love about these items is that they make as great business promotional gifts! Corporate giveaways serve important purpose. That is, to establish your brand. Marketers create corporate gifts to promote their company and to thank their clients and employees. Contact ODM today so we can discuss the best custom promotional giveaways for your company. Along with the world-class services the Sheraton hotel has to offer, they also bring forward clever marketing ideas to keep their customers enticed. 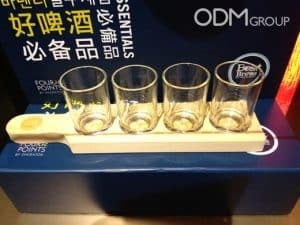 Thus, it’s no mystery now why this Four Points by Sheraton‘s promo beer serving kit has been used in their latest promotional campaign in Singapore. Contact ODM today to learn more about custom promotional giveaways. What makes a good business promotional product? A practical and eye-catching gift! Novelty items such as these customisable LED light pens are ideal for corporate promotions and events. Its usefulness and unique design are its selling points. 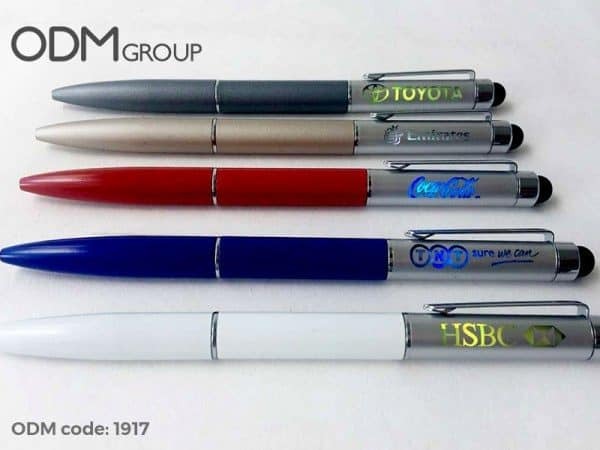 If you need custom-designed business or corporate promotional products, feel free to contact ODM. Our designers will help you from the designing stage to manufacturing to ensure you’re getting the best possible promo products. If you are looking for a new and innovative way to change up your promotional campaign this holiday, then why not try custom felt decorations. 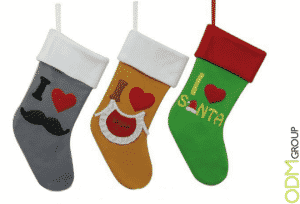 Felt products are great because they are extremely versatile, and a custom felt promo product this Christmas will delight your customers. To learn more about your custom promotional giveaway options, feel free to contact ODM today. ODM visit trade shows in China to check new trends in product marketing. Custom pens are a staple for branded merchandise and still showing strongly when this oversized clip caught our eye again last week. Low-cost and used by so many companies around the world, this niche remains critically important. Thus, it helps to get the opinion of a professional in the field such as ODM. Contact us today to know about the best custom promotional giveaway for your company.